Our product range includes a wide range of sun board, pvc sun boards and pvc sun board. We are one of the prominent manufacturers and suppliers of Sun Board that is made available in different thickness, width and length specifications. We are one of the leading names in manufacturing PVC Sun Boards for branding & advertising of your products in Showroom, Shops and Outdoors etc. Our expertise lies in offering our clients a wide range of PVC Sun Board, which is manufactured at our up to date manufacturing unit with the use of quality tested raw material and cutting edge technology. The manufacturing process of this foam board is vigilantly monitored at each step to make sure its reliability. 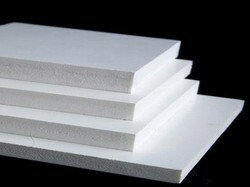 Available in various sizes and thickness, our clients can avail this foam board from us at industry leading price.